Presidential hopeful Gavin Duffy offloaded a substantial property portfolio to settle borrowings from a string of investments from the 1990s and the boom years. At one point, the businessman and ‘Dragons’ Den’ star and his wife Orlaith had interests in 15 properties including residential and commercial buildings. A trawl of Registry of Deeds and Land Registry records by the Irish Independent revealed a portfolio that once included addresses in Dublin’s exclusive Ailesbury Road, as well as a Georgian building on Upper Mount Street. Mr Duffy last night confirmed that his family home at Kilsharvan, Co Meath, is the only property among the 15 identified by this newspaper that remains in his ownership. In a statement, he said that a “full and final settlement” has been made on the borrowings. He did not answer a question on how much was paid in the settlement. One of the properties, a house on Ailesbury Road, sold for €1.75m in 2015, according to the Property Price Register. 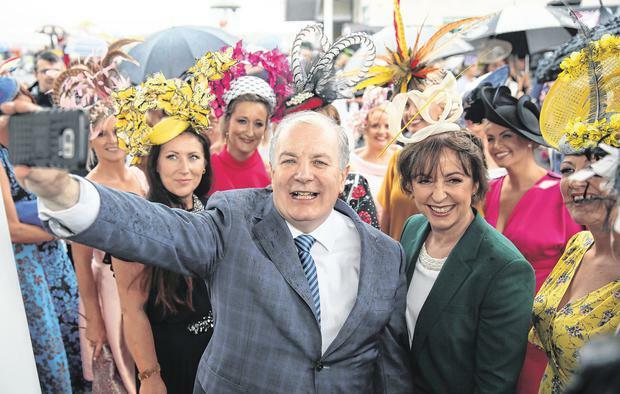 The land records show that many of the couple’s investments were financed with a series of loans from the now-defunct Irish Nationwide Building Society (INBS). INBS collapsed into State ownership in 2010 and its assets were folded into Irish Bank Resolution Corporation (IBRC). In 2013, a special liquidator was appointed to IBRC. A tranche of INBS’s loans – including Mr and Ms Duffy’s borrowings along with those of many other people – were subsequently sold to fund management company LSREF III Stone Investments Ltd.
Mr Duffy received a letter from LSREF III Stone Investments referring to the 2015 agreement and confirming that “all obligations” have been satisfied. The letter says “there are no liabilities due and owing to LSREF III Stone Investments DAC under the settlement agreement”. Mr Duffy has promised an open and transparent campaign if he succeeds in getting on the ballot paper. Last night, he said he hoped other prospective candidates would face similar queries and that they would “come forward with full information”. Mr Duffy needs the support of four local authorities if is to succeed in his bid to challenge President Michael D Higgins for Áras an Uachtaráin. The 58-year-old began his career in local radio, founding LMFM in the late 1980s. In more recent years, he shot to fame on RTÉ’s ‘Dragons’ Den’. Along with his wife, he has a consultancy business which offers “bespoke leadership development and communications training”. Its website describes him as “one of Ireland’s leading business mentors”. Mr Duffy made his first pitch to win the support of local representatives to get a nomination for the presidency at Waterford City and County Council earlier this week. It also heard submissions from Pieta House founder Senator Joan Freeman and former Aer Lingus employee Patrick Feeney. Cork City Council and Fingal County Council in Dublin are to hold special meetings next month.